This entry was posted in Racing on January 6, 2011 by Steve Tilford. That was the final tally of miles I rode yesterday. I meet up with Robbie Robinette for our annual pilgrimage out west to the Texas Hill Country. For some reason, every time I’ve ridden with Robbie, it has been long and this was the case yesterday. It usually isn’t for another month, but I’m looking for miles and Robbie is on a quest for a 27 hour week for some reason, so it worked out for both of us. It was nearly 70 degrees, but the wind was not still. Robbie has a super nice bike. A Madonne with Shimano Di2 parts and carbon Bontrager wheels. I’m riding my ti Eriksen cross bike with a 44T front ring. Not that it wasn’t enough for today. Robbie is a pretty smart guy. He trades stock, sort of. Not the way we’d be trading stock. He buys and sells a lot of it. Millions of shares a day. Probably much more. But, he didn’t mind taking the whole afternoon off and letting his stock program do its’ thing without him. I’m glad. I got to ride some new roads I wouldn’t of found without him and had some nice conversation to boot. We kept a pretty casual pace. I think it was around 18mph when I got home. I took a little detour through the neighborhoods to get to triple digits. Austin has some pretty awesome neighborhood riding, so it wasn’t such a effort. It was pretty much dark and I was kind of cold by the time I got back to Ann’s house though. I have a little bit of a sore throat today. I’m not sure what that is all about. I took a decongestant this morning and am drinking tons of water, just in case. I might not ride as much today. I’m not sure I have two more long mile days in me at this point. It is supposed to be pretty warm through Friday, so maybe I’ll just do a couple hours today and then long again tomorrow. Kind of makes sense right now. 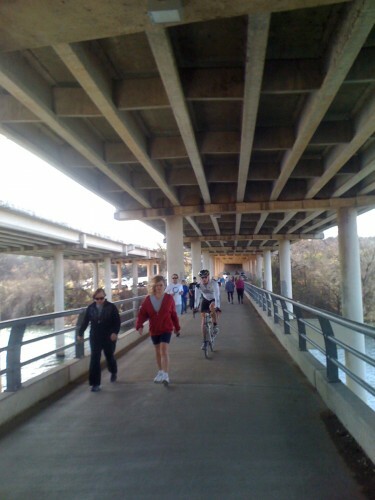 It never ceases to amaze me how many people are out and about exercising in Austin. Sometimes these Texas roads are hardly roads. Robbie being all color coordinated and all. He knows all the great rides around the city of Austin. 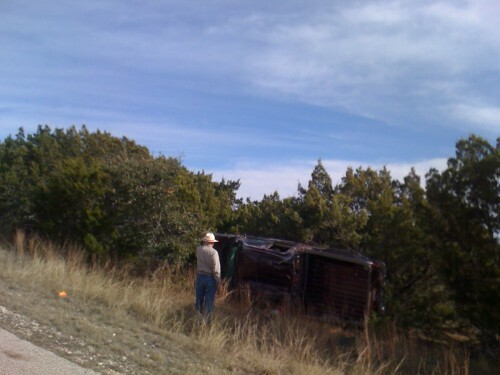 We came upon this truck flipped over out in the middle of nowhere. The kid that was driving it was fine. We rode another 1/2 hour before a firetruck came from who knows where. There are tons of great things about Austin. This is the number one downer. 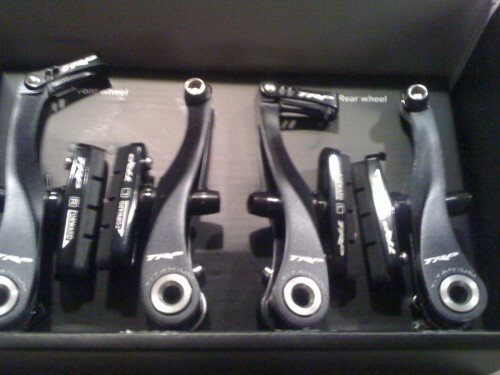 I got some new TRP brakes yesterday, but haven't put them on yet. I'll let you know how they work out. The scratchy throat might be due to the cedar pollen. Always a CenTex winter issue. 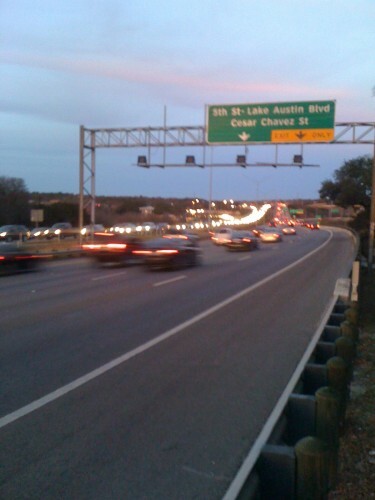 Traffic isn’t so bad lately as the UT spring semester has yet to start.